Mackenzie and Brian met during a Stanford history class. Fast forward and they are now both scholars and professors of history. Not to mention, Mackenzie recently received her PhD! Their passion for literature extended to how they wanted to celebrate their love with the venues they chose. The wedding ceremony was at the Stanford Memorial Church whose architecture and artistry instantly transports you to ancient Italy, and later the Fairmont San Francisco wedding reception. Their ceremony was just as much a marriage to the academy as it was a marriage to each other. The church meant much more than just a location to them. It represented something akin to the best man, maid of honor, priest, and arbiter all in one! The beauty of the cathedral, with its stained glass windows, organ player, and huge vaulted ceilings made the ceremony feel like something out of an Italian history book. Mackenzie’s bridal bouquet, arranged by Michaela’s Flower Shop, was nothing short of show-stopping. She waved around the bouquet excitedly as the ceremony came to an end and the celebration moved to the San Francisco Fairmont penthouse suite! Saying that Mackenzie and Brian’s reception was the perfect recipe for all the things they hold dear is an understatement. 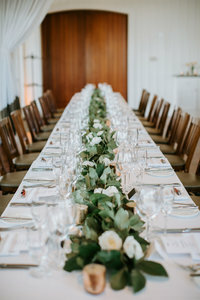 Their reception venue, The Fairmont San Francisco, has hosted a number of very important people like President John F. Kennedy, Tony Bennet, Marlene Dietrich, and Prince Charles of Wales. Aside from an impressive list of guests, the penthouse is a spectacular 6,000-square-foot floor complete with a formal dining room, a two-story library, a billiard room, and an outdoor terrace with those “oh my god” views of San Francisco. As if it could get any better, Mackenzie and Brian made their reception a salon theme. Salon, in this case, does not mean the type where you get your hair done. A “salon” inspired reception means a gathering of people under the roof of an inspiring host. Rather, two inspiring hosts. They are generally defined as a cultural event linked to literature, art or discussion and historically are associated with French literary and philosophical movements of the 17th and 18th centuries. Voilà! A perfect combination that represents a zeppelin for the couple, a jumping off point for a new chapter of ambition, scholarship, and travel. At the reception, there wasn’t a grand entrance or formal dinner. Instead, guests were encouraged to mingle, converse, and enjoy each other’s company. There were hors-d’oeuvres and different musicians played all night long with the bride and groom swaying to the tune. To lighten the mood, Mackenzie performed a satirical riff from “My Best Friend’s Wedding” to her beaming groom. Brians’s father was a pianist and he played a beautiful piece on the grand piano that *almost* brought me to tears. Speeches were made atop the library staircase, where old leather bound books lined the walls. Guests looked up from the ground floor as stories and jokes where told. It was evident that Mackenzie and Brian have a deep love and respect for each other that didn’t go unnoticed by their loved ones. The night carried on with many beautiful songs, dances, and conversations. It was truly a magical evening in the penthouse suite for a San Francisco Fairmont wedding. Congratulations, Mackenzie and Brian! Wishing you many more beautiful adventures as you continue to write the pages of your lives together. Oh my goodness Stanford Memorial Church looks like the PERFECT place to get married! I am in love with all the architecture! And don’t even get me started at the reception photos from The Fairmont Hotel. WOW-I think that is my favorite reception venue I have ever seen. You did a wonderful job capturing their special day! 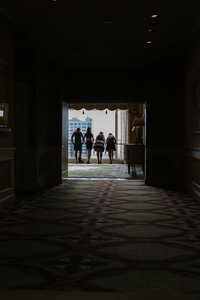 I love this Fairmont Hotel wedding in San Francisco. What a beautiful venue. It seems it is the perfect location a for them and the photos by Amy Thompson Photography are stunning. What a magnificent church to get married in at Stanford Memorial Church. I love the salon reception at the Fairmont Hotel with unique San Francisco style. Looks like the party was amazing and heartfelt! Beautiful wedding photography by Amy Thompson! Wow. 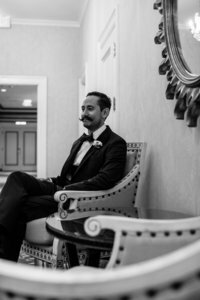 There is no part of this San Francisco wedding that isn’t epic. The Fairmont Hotel looks fantastic and you weren’t kidding about those views of San Fran. So stunning! UMMMM that venue is the COOLEST!! !